No experience in our lives prepares us for working in a food manufacturing plant. It’s noisy, cold, hot, dry, wet, dark, or extra bright. It has a variety of aromas that are beyond description. And it has more rules about how to dress, personal hygiene and traffic patterns than can be committed to memory. Every day, frontline food workers make individual decisions that impact food safety, workplace safety, product quality, and operations. So inspiring employees to learn, apply and retain knowledge requires multiple touch points. 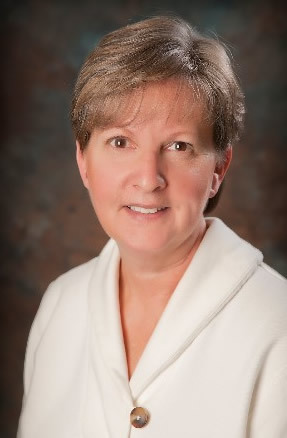 At this month’s Food Safety Consortium conference, Holly Mockus will moderate the session, “Gathering Data to Gather Data: Don’t Learn the Hard Way!” LEARN MOREAt most plants, employee onboarding is usually done through formal classroom training. Group training is a great way to learn in a focused setting and interact with an instructor and co-workers. But ensuring that the training is clear and easy to understand can be a challenge. A recent survey of frontline food workers by the Center for Research and Public Policy, Mind of the Food Worker, reveals that 39% of employees say that training is sometimes too complicated or difficult to understand. Learning must be contextually accurate to resonate with the learner, and alignment with the diversity of today’s frontline worker requires new approaches. Ensuring employees learn, apply and retain knowledge requires multiple touch points because attention spans are getting shorter. According to the National Center for Biotechnology Information, the average attention span is now just 8.3 seconds. Training content has to be presented through different channels in order to stick in the employee’s mind and drive the required behavior. Companies are increasingly using digital signage to show relevant and eye-catching visuals to reinforce the formal training. The content is more impactful when played at strategic times throughout the production day—continuous or too infrequent may cause the retention level to wane. The content also needs to be changed periodically. Truly effective digital content display will be managed effectively to get the biggest bang for the effort. Leveraging the supervisor and employee interaction through shift change meetings is another important delivery channel for training reinforcement. 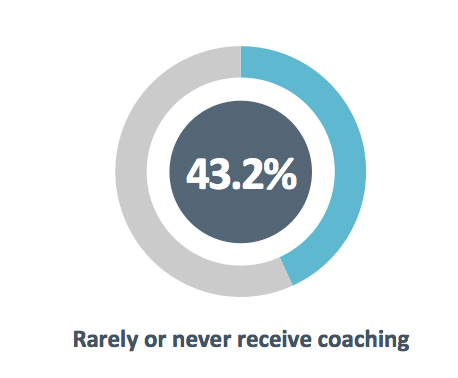 According to the Mind of the Food Worker survey, only 56.8% of workers said they receive coaching from supervisors. By providing supervisors with scripted huddle guides, they can effectively and consistently reinforce key messages. In addition, supervisors and managers who observe and provide reinforcement or correction individually to employees have found a winning combination that will strengthen and drive culture so that everyone will know the right thing to do every day. Supervisors are the hub of the wheel that keeps manufacturing on the road and pushes the industry forward every day. Anything that can make life easier for the frontline supervisor will have a high potential for return on investment. Tablets are increasingly being used by supervisors to complete tasks in real time, as it eliminates the need to spend hours deciphering and following up on notes after a shift ends. 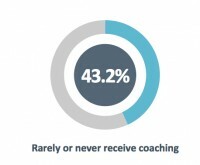 This in turn gives the supervisor more time to spend on the floor coaching and reinforcing employees. The bond between supervisor and employee is the absolute core of the culture of each manufacturing plant. The survey, Mind of the Food Worker, was sponsored by Alchemy Systems.